Google curiously chose not to make its iOS app for Google+ a universal app when it first released it last month, but it’s now finally letting iPad and iPod touch users in on the act as well. Unfortunately, the iPad part of the equation comes in the form of a blown-up iPhone app rather than a properly optimized version, although that’s not exactly surprising considering it’s much same situation that Honeycomb users still find themselves stuck with. Also included in the update are additional Huddle settings, aggregated circle add notifications to cut down on some of the noise, and the usual performance and stability improvements. You know what to do to get your hands on it. Google+ iOS app now supports iPad and iPod touch, still not optimized for iPad originally appeared on Engadget on Mon, 08 Aug 2011 17:27:00 EDT. Please see our terms for use of feeds. The Engadget Show returns Friday, August 19th — win a ticket to the taping! Get ready, because the latest episode of The Engadget Show is coming at you soon. We’ll be bringing it to you Friday, August 19th at 6:00PM. Tim Stevens and Brian Heater will be taking you around the world this time out, including a stop by the Ferrari factory in Italy and a trip to Times Square to see how the New York City’s landmark giant video displays are getting more interactive. We’ll also have our faces rocked by Parts & Labor’s Dan Friel in studio, plus all manner of other awesome surprises. The Engadget Show is sponsored by Sprint and will take place in our intimate NYC studio, so if you want to get in, you’ll need to win a ticket in advance. But don’t worry, if you can’t get there in person we’ll have a download up soon after taping. Sprint is also offering 60 guaranteed tickets to The Engadget Show taping to the first 60 entrants who text “ENGADGET” to 467467 or enter online! Standard text messaging rates apply. Click for the Official Rules and see how to enter online. If you live outside of the tri-state area (NY, NJ, CT), you can enter online for a chance to win a trip for two to New York City to attend The Engadget Show. Standard text messaging rates apply. Click here to enter. The event is all ages. We’ll open doors and begin seating at 5:15pm on August 19th, and the taping begins at 6:00PM. We’ll be closing the doors at 5:50PM. Winners must pick confirm and print tickets 24 hours before taping begins or risk forfeiting their seat. Please bring a photo ID with you to the taping. The show length is around an hour. If you’re a member of the media who wishes to attend, please contact us at: engadgetshowmedia [at] engadget [dot] com, and we’ll try to accommodate you. All other non-media questions can be sent to: engadgetshow [at] engadget [dot] com. The Engadget Show returns Friday, August 19th — win a ticket to the taping! 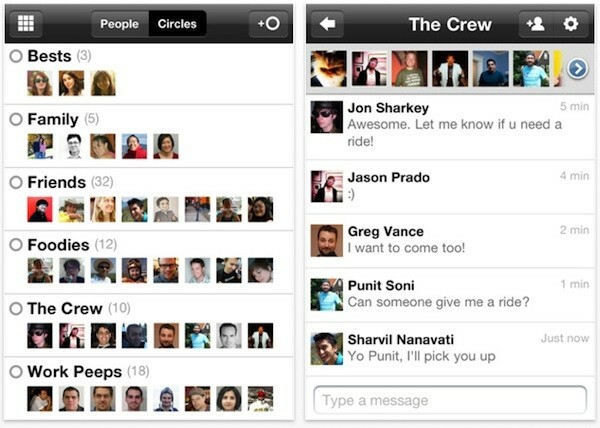 originally appeared on Engadget on Mon, 08 Aug 2011 17:03:00 EDT. Please see our terms for use of feeds. The lack of a universal standard for active shutter 3D glasses became painfully clear during our 3D TV shootout last year, and gave plenty of reasons for buyers to skip the pricey specs altogether. 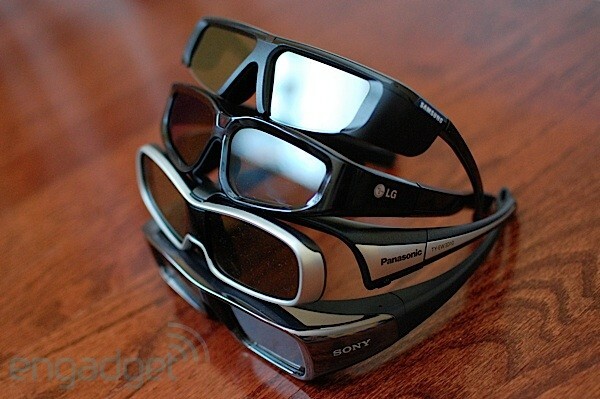 Nine months later we see that LG has jumped onto passive 3D and CEA is playing catch up on the IR glasses problem, but many of the new HDTVs for 2011 are using Bluetooth technology to keep their glasses in sync — again without any promise of cross-manufacturer compatibility. A day late and a few dollars short, Panasonic, Sony, Samsung and universal glasses maker XpanD are announcing the “Full HD Glasses Initiative” which should lay down a standard for consumer active shutter glasses to communicate over Bluetooth or IR. The new glasses should be backwards compatible with this year’s TVs, although early adopters from 2010 have no such guarantee. The press release (included after the break) indicates we can expect the new models to arrive in 2012, assuming they haven’t lost more ground to the FPR army and can still convince buyers to even look at 3D by then. Panasonic, Sony, Samsung and XpanD finally team up for an active 3D glasses standard originally appeared on Engadget on Mon, 08 Aug 2011 16:37:00 EDT. Please see our terms for use of feeds. This entry was posted on August 8, 2011, 5:36 pm and is filed under Mobility. You can follow any responses to this entry through RSS 2.0. Both comments and pings are currently closed.